If there is one thing that Mrs. Egbert and Mrs. Manley know how to do, it is how to make lessons fun! 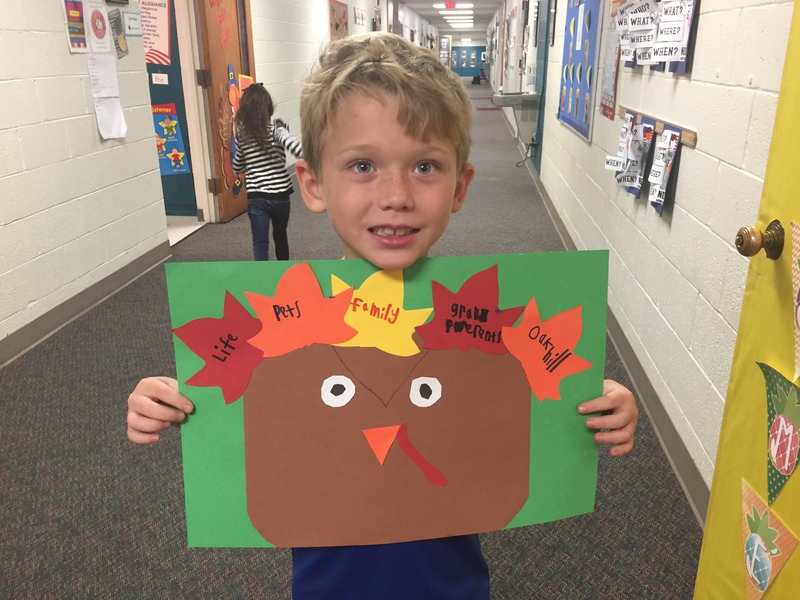 This first-grade duo knows how to encourage unique learning; this was evident in their lesson on being thankful. With it being November and Thanksgiving just around the corner, being thankful is all the buzz for many of us. Mrs. Egbert and Mrs. Manley began their combined lesson by reviewing the holiday and creating a list of what makes them, and their students, thankful. This thankful list was then used by each of the students to create their own “Thankful Turkey” that would become a placemat for their holiday feasts. Each teacher walked the students through the activity step by step, to ensure that everyone would have a meaningful keepsake from the assignment to use on their dinner tables at home. 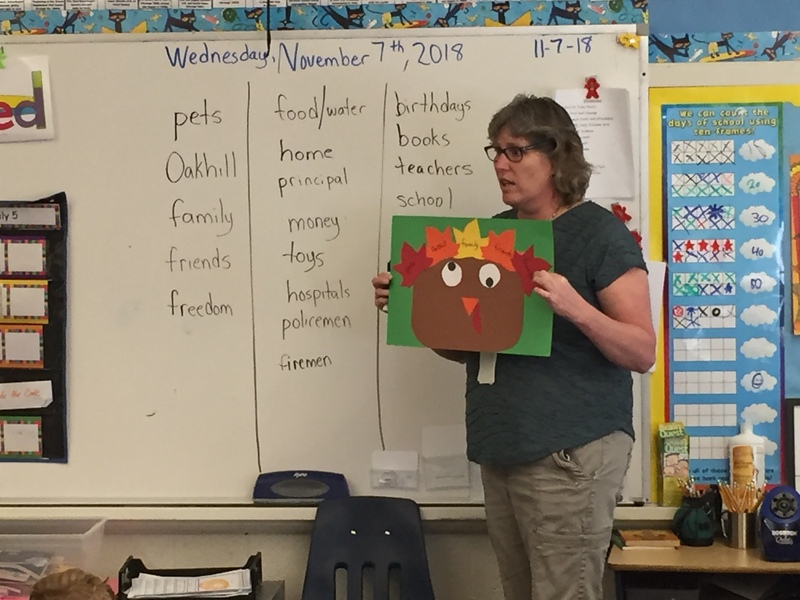 After making a list of things that their classes are thankful for, Mrs. Manley shows an example of the turkeys they will be making. The turkeys themselves were simple: a brown piece of construction paper with leaves coming out of the top as its feathers. The skills required to construct the turkey, however, weren’t as simple. The activity needed each student to think about their own lives to articulate all of the things that they are thankful for using skills like spelling, writing, fine motor skills for cutting and gluing paper, and reasoning/ problem-solving skills were used to ensure that everything remained on the paper. Students made a fun and meaningful decoration for their own Thanksgiving tables, all while not noticing they were learning! Spending science in the lab with Second grade and Mr. Cole was a real treat! Second grade kicked off second-quarter science studying the life cycle of annelid worms and leeches (yes, leeches!). 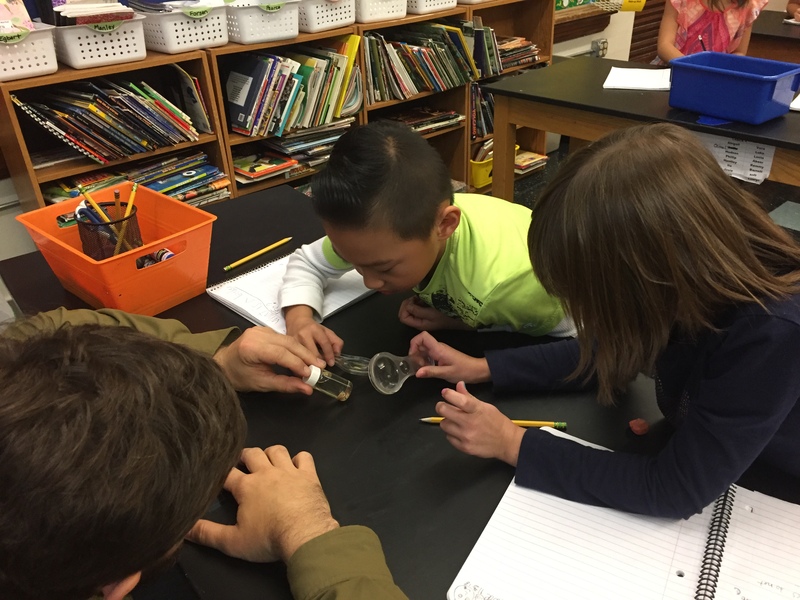 While the students independently read an article about leeches, Mr. Cole walked around the room with a vial for students to examine. He pointed out the different parts of the leeches body that is similar to the annelid worms. Mr. Cole shows students leeches in a jar and points out their physical similarities to worms. Once everyone had the chance to look, it was time for a pop quiz time! Well, not a quiz, but more an opportunity to get students thinking on their toes. Mr. Cole reviewed the life cycle of worms asking questions as he went along to see what information the students retained. Students were able to answer questions about how worms move, what they eat, and how they hatch! They took turns reading the article about leeches together as a class. 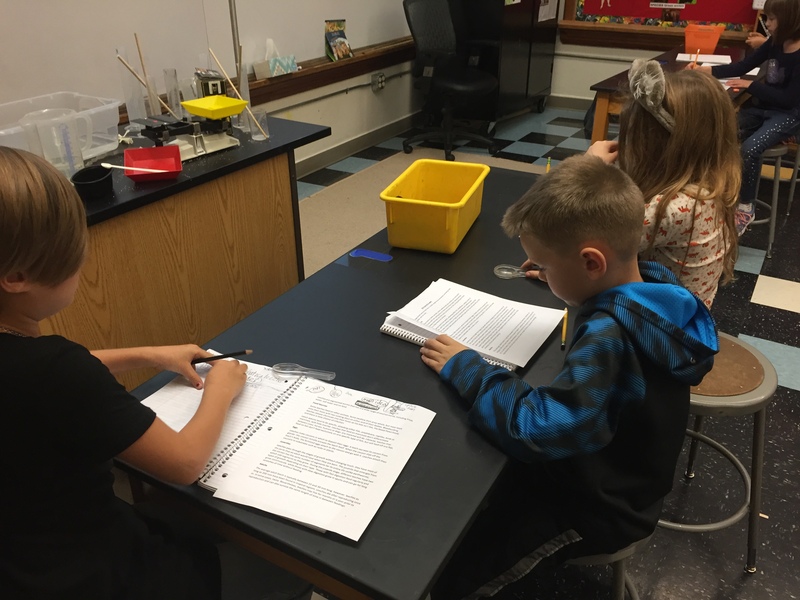 After each paragraph, Mr. Cole explained what the students just learned, and asked them questions about the differences between worms and leeches. Everything tied back to the lesson! Students used critical thinking skills to discuss what made the leeches similar to the worms and what made them different. If you are ever interested in learning more yourself, ask a second grader, and they can tell you everything you ever wanted to know! Students read articles about their science topic of the day by themselves before discussing as a class. It is incredible to see how quickly students grasp seemingly complex concepts within the first few months of their first and second-grade year. Skills learned through these lessons are often repeated and built upon in the years following second grade. The opportunity to see and experience our first and students learning first hand provided a tangible example of not only how wonderful our teachers are, but the gifts of our students.